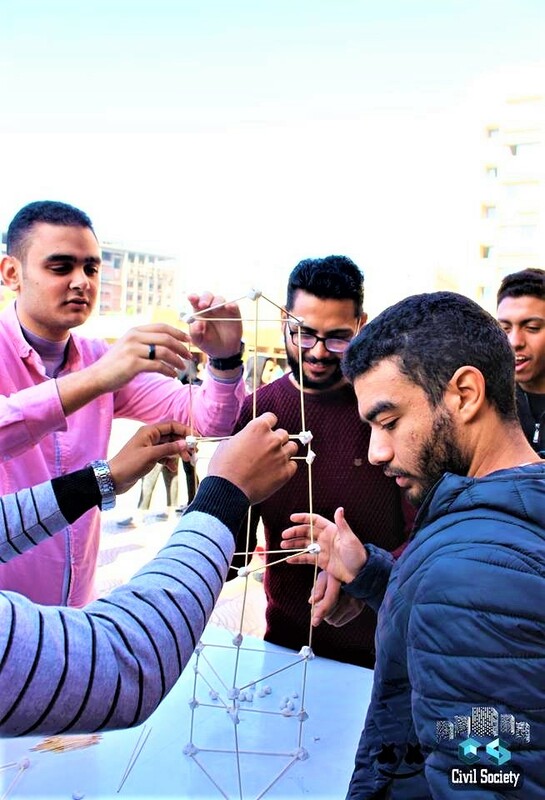 The Construction Engineering and Management Department held a Marshmallow Challenge on Tuesday, 11 December 2018 at the entrance foyer of the faculty of Engineering. The Marshmallow Challenge is about constructing the tallest free-standing structure using only sticks and marshmallow, taking into consideration that the marshmallow needs to be on top. A considerable number of students from different academic classes participated in this challenge. This was held under the auspices of Prof. Mohamed Gaber Abou Ali, the Dean of the faculty of Engineering. 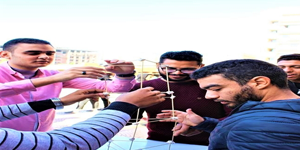 The coordination of the competition was managed by Prof. Hassan El Ghazouly, the Head of the Construction Engineering and Management Department and the demonstrators Eng. Moataz Ehab and Eng. Bassant Mohamed.